Our very mild weather will slowly cool each day until next Wednesday/Thursday. Then things get really interesting. A very large and impressive storm is headed our way and could bring as much as 4 inches of liquid precip to the Western Crest of Lake Tahoe. 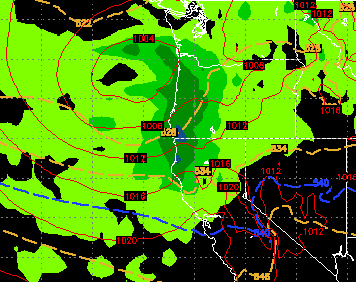 It will tap into very warm moist air and elevations on this one could be a little tricky. For Mt. Rose, expect all snow. Preliminary indications, however, are 7,000-7,500 feet. This storm comes in from the west and moves North as it reaches land. 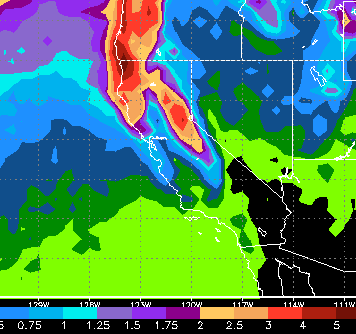 This could be a bullseye on Tahoe and could bring a major weather event. 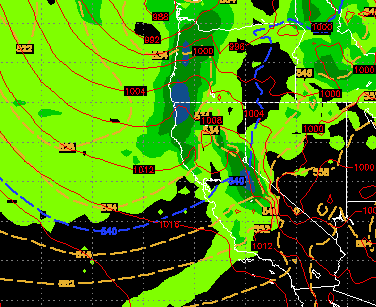 Being a week off, we will have to wait and see, but this comes from the much more reliable European Model (ECMWF). This storm is still 11 days out and accuracy this far out is sketchy at best. Suffice it to say, we are going to move into a stormy period starting next week and lasting for a prolonged period of time. Enjoy the warm weather, it's not going to last. It never does this time of year.